The dichotomy between machines and living things is narrowing. Today, artificial intelligence (AI) is embedded in all kinds of technology, from robots to social networks. This affects the youngest among us as we see the emergence of an “Internet of Toys.” The trend is what prompted us to explore the impact of those “smart,” interconnected playthings on children. We’ll present our paper, “Hey Google, is it OK if I eat you? : Initial Explorations in Child-Agent Interaction,” at the Interaction Design and Children conference at Stanford University on June 27. This blog post provides a preview of our findings. Randi: The biggest surprise for me was that the things that impressed me, as an engineer, were often not as important to the children. I expected everyone’s favorite toy to be Cozmo because of its technical abilities (despite its small size) and its expressive interactions. 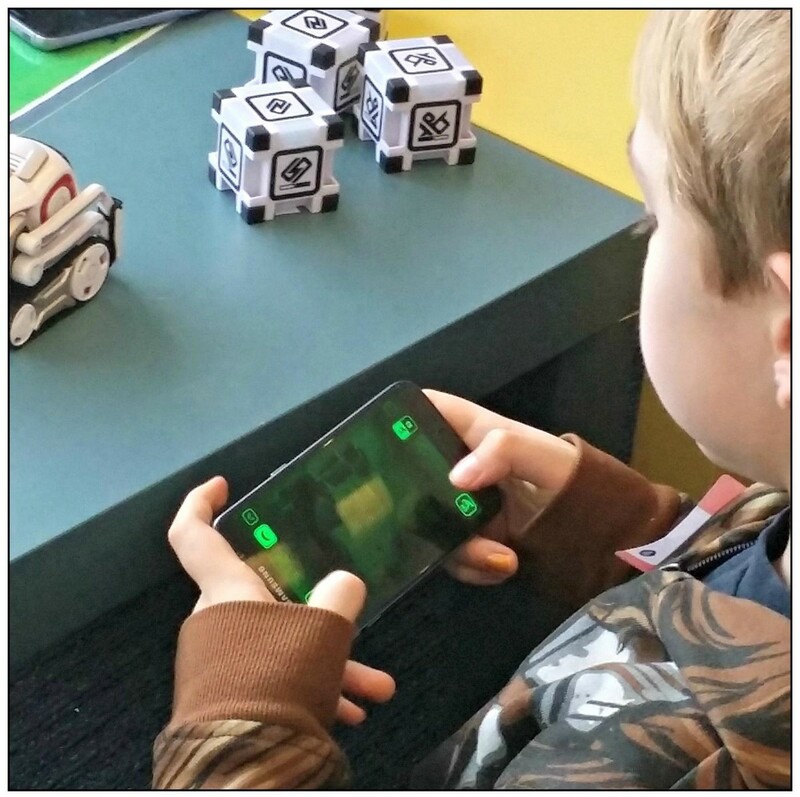 However, many children, especially the younger ones, were oblivious to Cozmo’s most advanced features and had a hard time understanding Cozmo’s expressions. They also thought that Alexa’s voice was nicer than Google Home’s because of the energy in former one’s voice. Yet, from my perspective, Google Home had the more human-like voice. 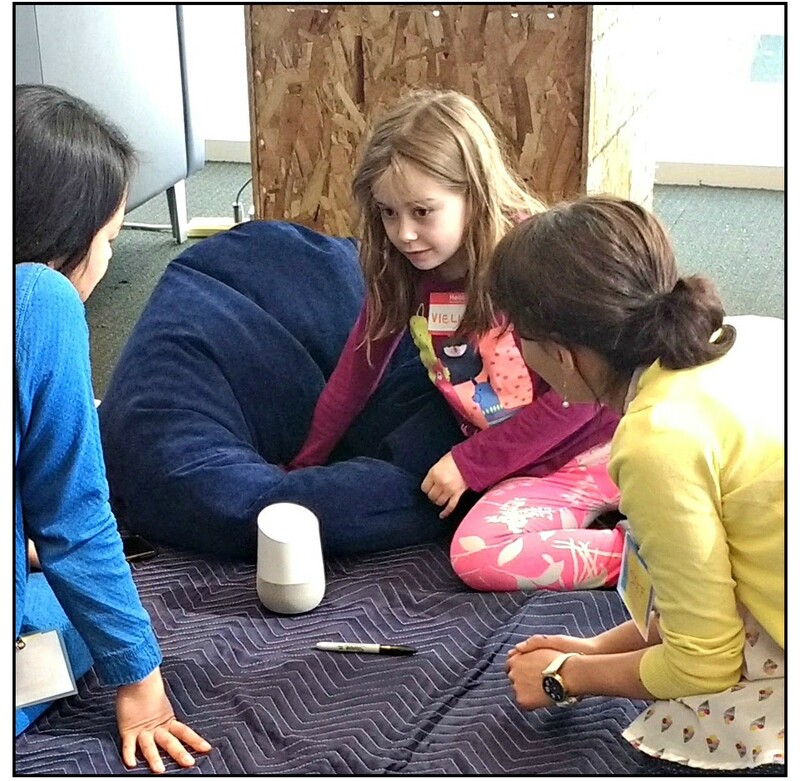 To be clear, Google Home and Alexa are not designed as toys for young children. However, many of the devices that are designed as toys treat the quality of their text-to-speech as an afterthought and our study suggests that it really matters to kids. 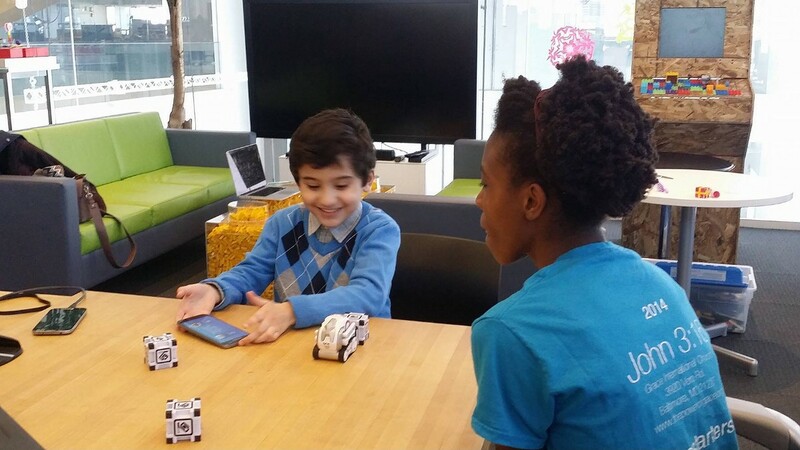 It is important for the people creating these technologies to understand how children perceive these devices. A lot of the participants were quick to raise questions that the devices couldn’t answer, like: “Do you have any arms?”; “What question do you have for me?”; or ”Do you have a boyfriend?” Both of us were surprised to see that most of the older children (6–10 years old) thought that the agents were more intelligent than they were, even if the devices’ current capabilities were still fairly limited. They supported this opinion by saying that devices were more intelligent because they had access to more information. Younger children (4–6 years old) weren’t as sure that the agents were more intelligent. 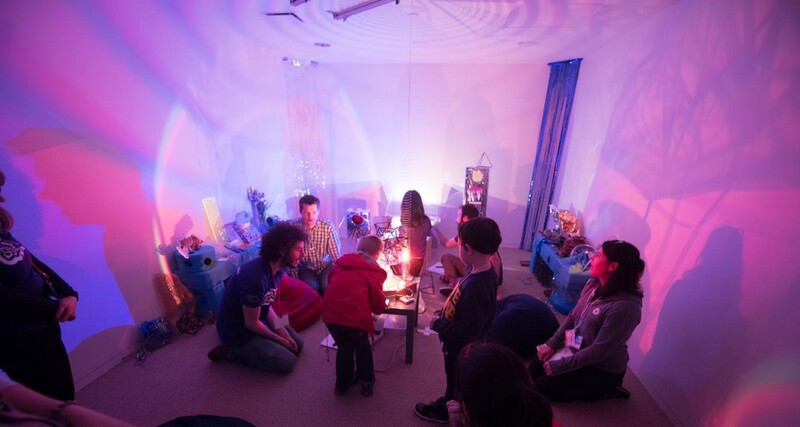 We expect that children’s perception of the devices’ intelligence would change in future playtests when the participants would learn not only how the agents make sense of the world around them, but also how they, as users, could program the devices and influence their decisions. 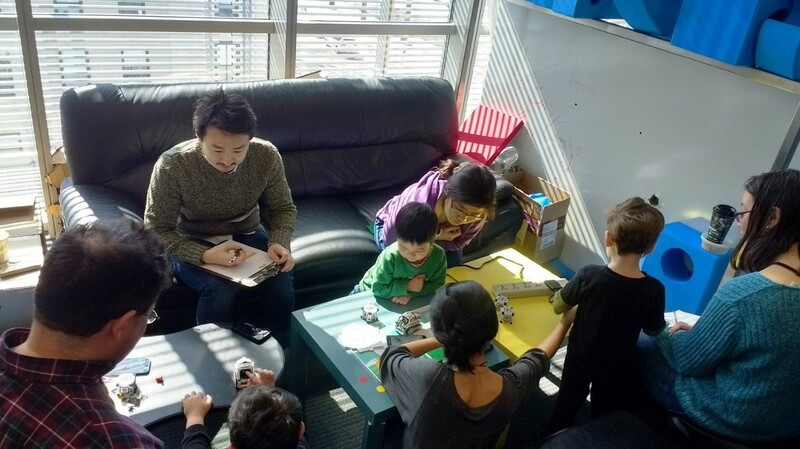 We also loved that the older children we interviewed expressed the desire to design and program their own AI “friends.” We’re curious to explore how young people could help us researchers perceive future applications of AI and machine learning in new ways — as new modalities for expression, interaction, and creativity — and not only as tools meant to improve our productivity. Over a period of six hours, we ran two separate sessions — one for a younger age range (four to six) and one for an older range (six to 10). In each session, participants were randomly divided into four groups. Then we assigned groups to a station where they could play with one of these devices, or “agents”: Amazon Alexa, Julie Chatbot, Google Home, Tina the T. rex, My Friend Cayla, and Cozmo. Each station had enough devices for participants to interact alone or in pairs. At the stations, researchers introduced the agent and then invited participants to engage with it. After playing with the first agent for 15 minutes, participants rotated to the next station to interact with a different device. Each session of structured play was followed by a questionnaire, in the form of a game, analyzing each child’s perceptions of the agent. We also interviewed three boys and two girls to delve into their reasoning. We selected those who’d played with various devices and displayed different interaction behaviors. Between interviews, participants could free-play with the agents. They clearly enjoyed that free-play experience and expressed the desire to do it again. This blog post was originally published on the Media Lab website.